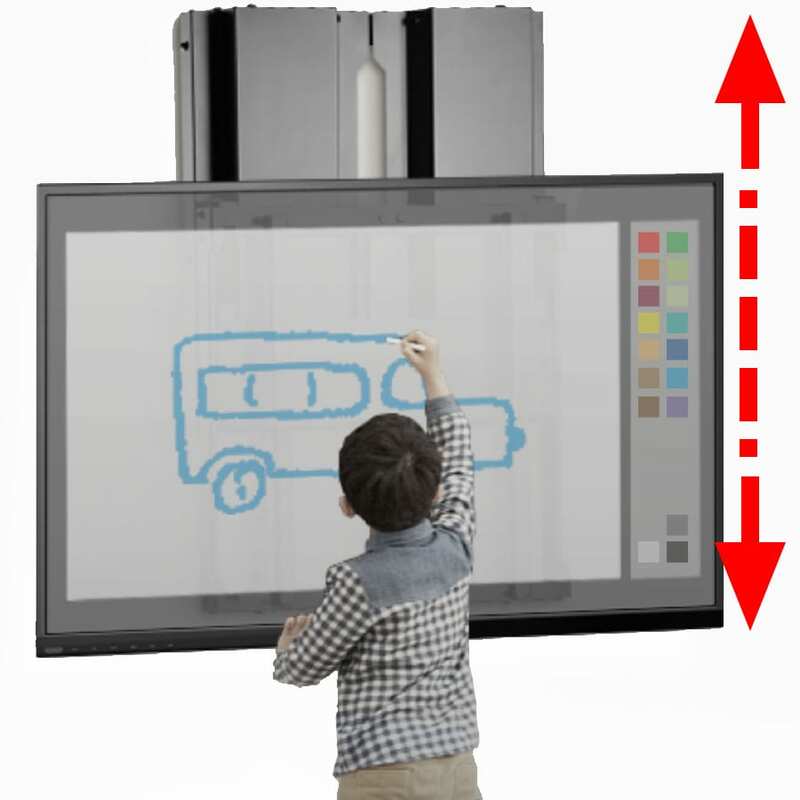 The Allcam BL44 BalanceLift makes it very easy to move up/down TVs, Screens, and Displays, an ideal tool for modern classrooms, meeting rooms, and conference rooms. But how does it work? The magic lies in the internal springs. The spring force offsets the weight of the TV/screen/display, so there is virtually no weight when you tries to lift up or press down, and even your fingertip can move a very heavy screen! This is similar to the principle how a sliding sash window works. Once you know how it works, it is easy to understand that the BalanceLift only works with a certain weight range of the internal springs, in case of BL44, the range is 23-40Kg and the weight of most 37″ to 55″ LCD/LED touch screens and most 80″-120″ interactive whiteboards falls into this band. Models for even heavier load will be available next year. Here is a video showing how the TVs/Screens are mounted on the wall using the Allcam BL44 BalanceLift.